As an entrepreneur looking to expand into a new business, there are many financial factors you must consider to ensure the success of your new venture. Validation Master Plan, Validation Protocol, Equipment 's DQ, IQ, OQ, PQ Preparation, Training (OJT-CRT), Records, Drawing & Layout, as per Rev. Sch. M, MCC, MHRA, TGA, USFDA, WHO-GMP, ISO Guideline and other Regulatory Guideline. Assistance and full support services available for the start up businesses at a very nominal fee. We design engaging websites and mobile apps across most mobile platforms like iPhone, iPad, Android and the web that are perfectly tailored to meet your specifications irrespective of its simplicity and complexity. Seller Drive will take care of your promotion activities on Quarterly basis covering various channels and modes in order to promote your product to the right audience. One can establish business in India by setting up a Liaison office, Project office, Branch office, Public Limited Company and Private Limited company, Limited Liability Partnership, Partnership Firm, Sole Proprietor Firm. We initiate projects and set-up account when you sign with a new service provider. We set up required processes like Delivery management, Quality Management, Governance, Communication, Financial tracking system & Management. We supervise transition completion and hand over to your Project Managers. First thing First! You have come up with a Business idea. Finegral will help you get it the legal status. Setting of operations in India requires variety of services starting with identifying the location to establishing the delivery model. We offer following services. As an entrepreneur looking to expand into a new business, there are many financial factors you must consider to ensure the the success of your new venture. - Advising on implications of operating through a limited liability company, the level of capitalization, etc. - Obtaining name approval from the Registrar of Companies. - Drawing up the Memorandum of Association and Articles of Association of the company. 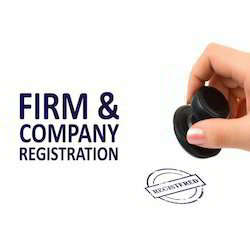 - Registration of the company with the registrar of companies. - Registration under sales tax, Excise, customs, service tax.